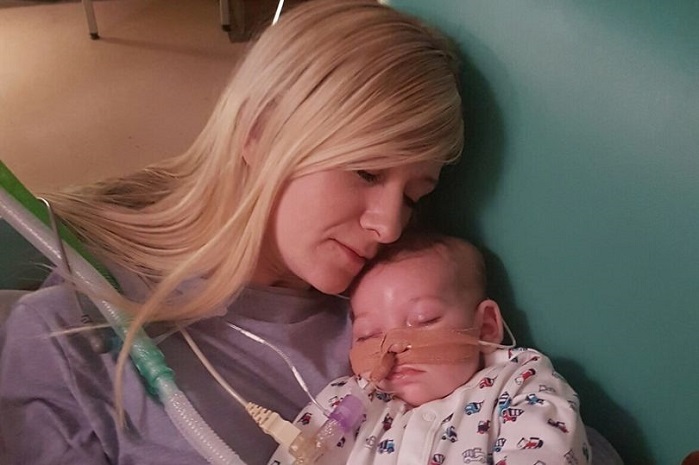 The parents of the little boy Charlie Gard, who had been fighting a hospital to save his life say they are ending their legal battle to get him an experimental treatment. Chris Gard and Connie Yates wanted to take their son to the United States for an experimental treatment. They raised more than $1.5 million for his care. His parents said they know the chance of the experimental treatment working is slim, but they want to try anyway for Charlie’s sake. But today, Charlie’s parents announced their decision at a hearing today at the British High Court. They made their announcement as a judge was prepared to oversee the latest round of a legal battle that a stressed over the last five months. A lawyer representing the couple told Justice Francis that “time had run out.” The attorney for the family said that irreparable damage had already been done. The decision means that the 11-month-old will stay in Britain and will have his life support removed. The decision comes after experts from around the world met with each other and with the parents, to explore the possibilities for Charlie’s treatment. The results of those tests appear to be so devastating that the parents have agreed that the experimental treatment will no longer help. Charlie has experienced significant muscular atrophy, for instance, as a result of his condition. While the treatment could potentially improve his condition – though doctors have said the chances are low – it would not be able to reverse those effects and so it is too late to pursue that route, the family has agreed. Charlie’s parents said through their lawyer in court that they hope that the case can change the way medical decisions are made in the future. It should be proof that if mitochondrial treatment is going to take place then doctors should begin as soon as they can, they said. Gard’s father yelled “evil” after a lawyer representing Great Ormond Street Hospital broke the news that a report on a new scan on Charlie made for “sad reading.” And Charlie’s mother burst into tears as attorney Katie Gollop told the judge that hospital officials had a negative view of the new scan. The couple then stormed out of court and then the hospital attorney apologized. Previously, U.S. Congressional leaders approved a measure to grant Charlie and his parents permanent residency status in an effort to make it easier for him to receive an experimental treatment. Pro-life Congresswoman Jaime Herrera Beutler, R-Washington, led the effort; her daughter also was diagnosed with a fatal condition but survived because of an experimental treatment. Last week, Dr. Michio Hirano, MD, a Harvard-trained neurologist, examined Charlie this week to provide his opinion about experimental treatment. He previously said he thinks the 11-month-old has a chance of benefiting from the therapy. Despite all of his problems, Charlie’s parents – and millions like them – believe that Charlie is a valuable, living human being who should be given a chance to live. 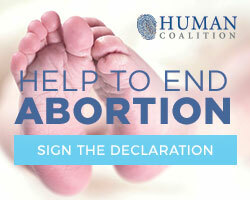 Leading pro-life advocates helped Charlie’s parents fight for his life. Charlie’s parents brought Terri Schiavo’s brother Bobby Schindler to London to help them fight for care for their son. Schindler spoke with LifeNews exclusively about their invitation. Sadly, the battle to save Charlie has come to an end.